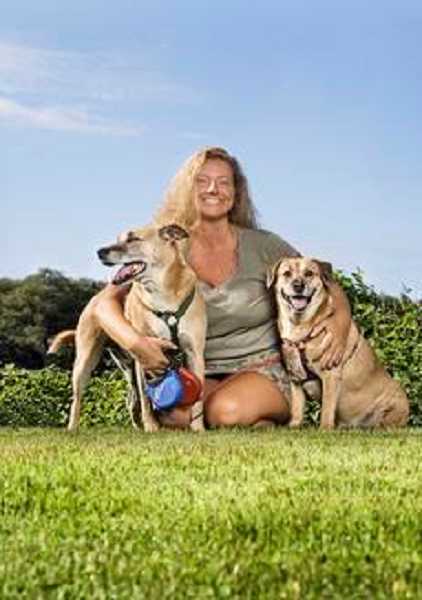 Carolyn Ackerman, owner of Let Carolyn Paint It!, has a big heart for animals and has always supported critter causes, in recent years donating 50 percent of the profit from her business to homeless and abused animals. But the former Sherwood resident, touched by all the animals suffering after Hurricane Harvey decimated communities along the Gulf Coast of Texas, including Houston, has made her biggest donation ever to two Texas animal aid organizations. "I wanted to work with small organizations that get overlooked in situations like this," Ackerman said. "People have been donating money and supplies to the well-known rescue organizations, which is great, but the small ones are really struggling." She found two affiliated rescue organizations, Austin Pets Alive! and Houston Pets Alive!, that really needed help after being inundated with animals following Hurricane Harvey. "I tried to get donations from Portland-area major grocery chains and pet stores, but no one was interested in helping," Ackerman said. "I was shocked. I couldn't get media outlets, included ones I've worked with before, interested in covering this. It was disappointing. I was disappointed in Portland. "I was at the point where I couldn't wait anymore," she added. "These animals were suffering and needed help now, so I put together the biggest shipment I have ever done." Working with a local supplier in Texas, Ackerman paid for mixed pallets of dog and cat food along with kitten and puppy food to be sent to the two shelters. "I also sent hundreds of leashes and collars in different sizes along with a couple hundred blankets, flea and tick medication for different sizes, and cases of laundry soap, plus 50 to 70 pet carriers," she said. "My company bankrolled the whole thing. The shipping alone was expensive. And what was needed continues to be needed. Texas got hit way worse than expected. It was a bad situation, but soon after, all the attention shifted to Irma hitting Florida. Unfortunately I can't help Florida now." Ackerman said she researched facilities in Texas to find out which ones were on the ground there ready to help. "These two shelters are all run by volunteers," she said. "They have no paid staff. "Local support is wonderful, and there are lots of individuals who do what they can, like bringing in a bag of food," she added. "But in this case time was not our friend – we had to mobilize quickly. We found a distributor there who did the shipping of the dog and cat food, which is heavy. We sent the lighter items like leashes and collars from here. "Next time we'll know better, as each case is always different and in different areas." Ackerman's crew of painters is also pretty dedicated, she said, adding, "My guys have been working feverishly seven days a week to build our emergency fund. We'll never run out of animals that need help." Ackerman has already created a new division of her company called Get the Lead Out! that covers removal of lead-based paints plus repairs and repainting. Let Carolyn Paint It! gives a 10 percent discount to military personnel, police officers, firefighters and emergency medical technicians "because they go out every day risking their lives to I can go out and live mine," she said. And next summer Ackerman is planning to launch another new division called Petunia's Place, which would be a retail store with the profits going to animals. "I'm actively looking for store locations now in the Sellwood area," she said. For more information, visit Let Carolyn Paint It! or ipaintforpaws.com.